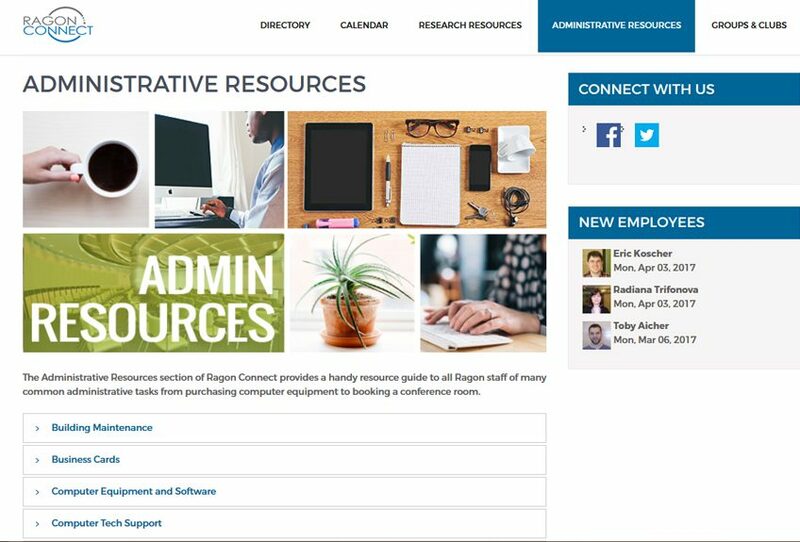 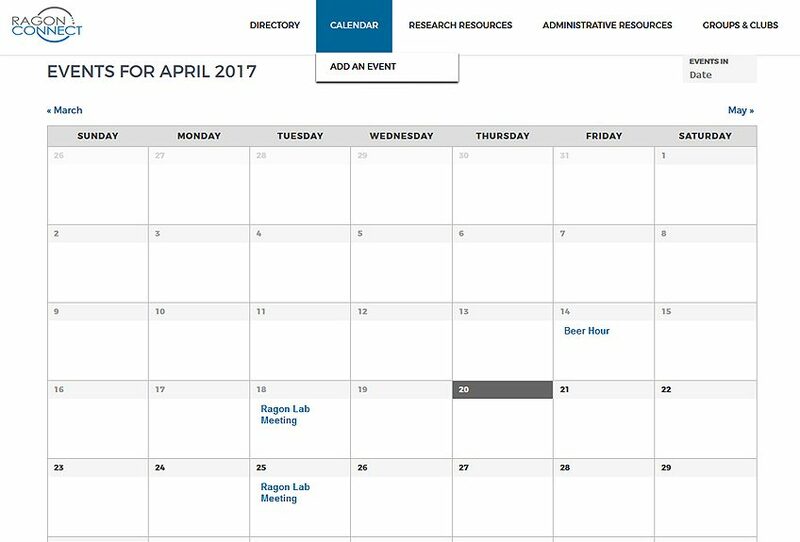 Developed an intranet for the Ragon Institute including site design, naming and branding, and logo design. 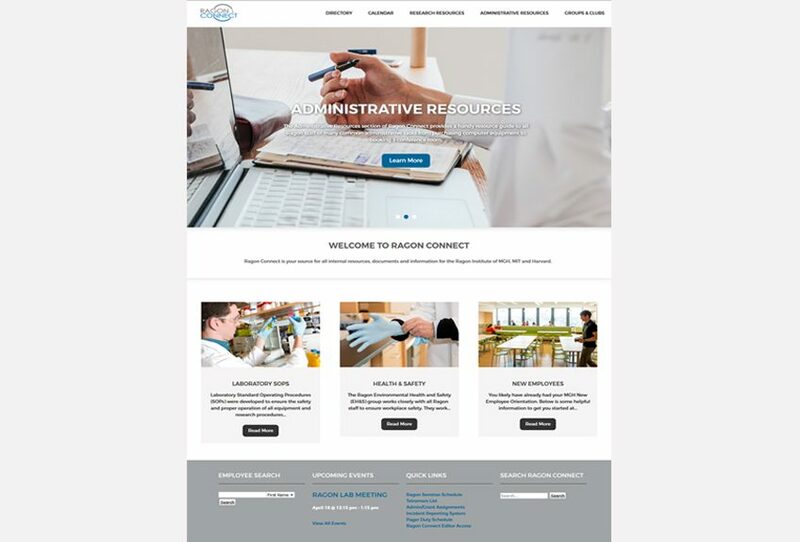 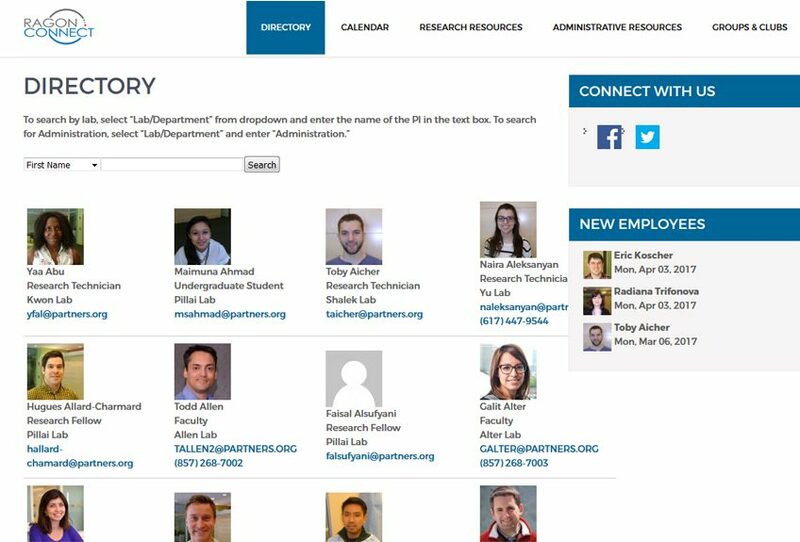 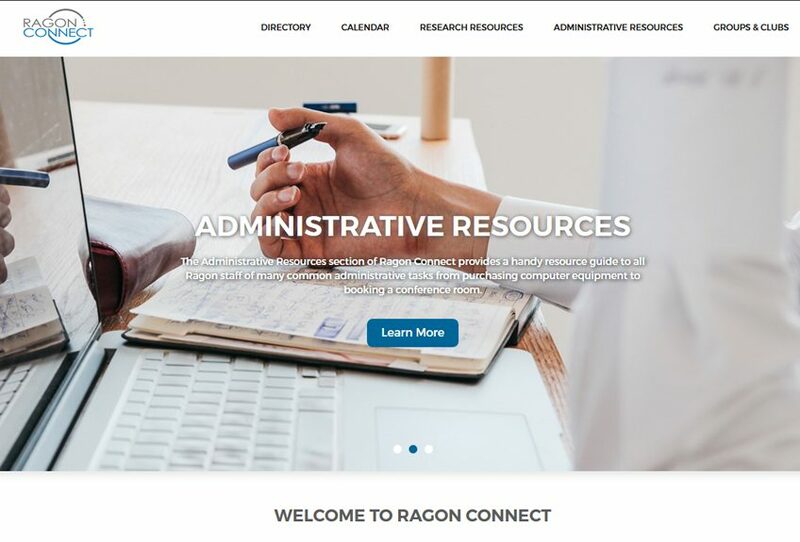 The Ragon Connect intranet of the Ragon Institute of MGH, MIT and Harvard has bright colors, bold images, and large menu items to appeal to a younger demographic and encourage connection. 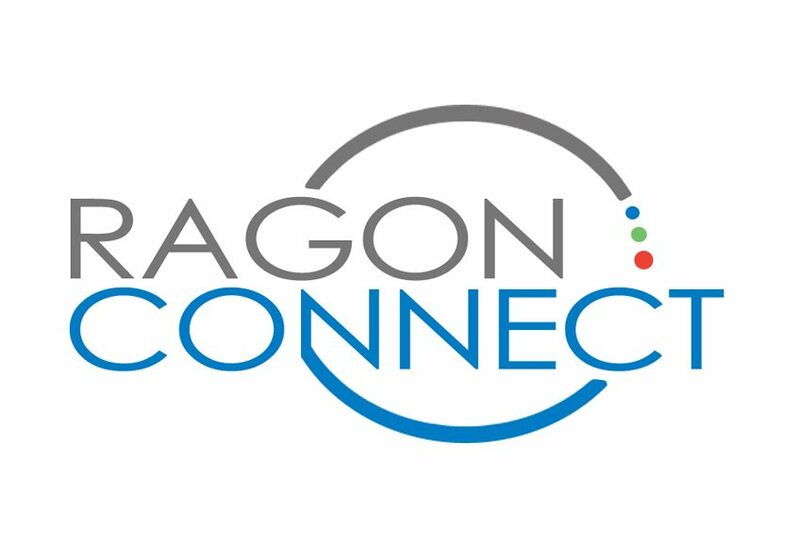 I also branded the name “Ragon Connect” and designed a logo by incorporating elements of the existing Ragon Institute logo into a circle, signifying connectedness.